Students can undertake full-time, part-time direct and online study supported and tutored by respected and extensively researched industry professionals. Students enjoy a modern, interesting and exhilarating education process utilizing hands-on exercises to achieve the learning outcomes of the college. Qualifications are delivered as a nationally accredited qualification in all Australian states and territories. 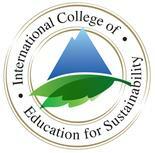 The International College of Education for Sustainability has its worldwide headquarters located in Melbourne, Australia. All our students are challenged to fulfil their study potential, persuaded to apply their knowledge and encouraged to enjoy their training experiences in the most rapidly expanding and dynamic fields.